Your patient is a 40-year-old man who presents to the emergency department with palpitations and the 12-lead ECG shown in Figure 1. No prior ECG is available. The patient had previously been healthy. He is alert and hemodynamically stable with a BP = 160/80 mmHg. What is the rhythm? Is this tachycardia likely to be supraventricular with RBBB aberration? How would you treat this patient? Figure 1 — 12-lead ECG from a 40-year-old man with palpitations. Is this tachycardia likely to be supraventricular with RBBB aberration? — NOTE — Enlarge by clicking on Figures — Right-Click to open in a separate window. INTERPRETATION: The rhythm in Figure 1 is rapid and regular at a rate of ~200/minute. The QRS complex is monomorphic (not varying in morphology) — and — appears to be slightly (albeit not overly) wide — with an estimated duration between 0.11-0.12 second. No P waves are seen. Thus, the rhythm qualifies as a regular monomorphic WCT (Wide-Complex Tachycardia) without clear sign of atrial activity. 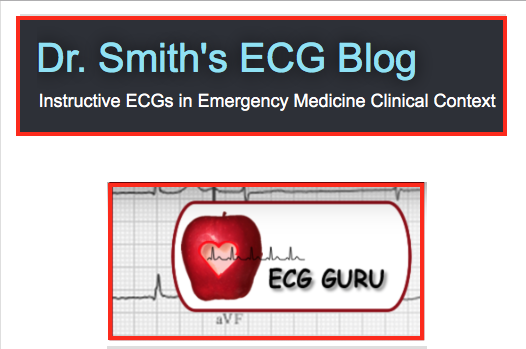 As we have emphasized in previous blog posts (See ECG Blog #23 — Blog #24 — Blog #35) — the diagnosis of VT (Ventricular Tachycardia) must be assumed until proven otherwise. VT is by far the most common cause of a regular monomorphic WCT when there is no sign of atrial activity (accounting for >80% of cases overall — and over 90% if the patient is older and has a history of documented heart disease). On occasion (~5-20% of the time) – a regular WCT may be supraventricular in etiology, due either to: i) preexisting BBB (bundle branch block); or ii) aberrant conduction. Clinically — the importance of distinguishing between VT vs SVT with either preexisting BBB or aberrant conduction lies with the impact this determination has on prognostic implications and the therapeutic approach. VT is a potentially life-threatening arrhythmia. In contrast — SVT is rarely life-threatening, and may often be controlled by medication without necessarily initiating cardiology referral. IF in doubt — always assume a regular WCT is VT until proven otherwise. Statistically (as previously emphasized) — this will most often be the case. IF the patient in a regular WCT is (or at any time becomes) unstable — treatment priorities are clear: immediately cardiovert the patient! IF instead, the patient is tolerating the rhythm and is hemodynamically stable — then there is (by definition) at least a moment of time to contemplate more definitive diagnosis of the WCT rhythm before initiating treatment. It is well to remember that even patients in sustained VT may at times remain alert and hemodynamically stable for prolonged periods of time (of not only hours but days!). Therefore, as long as the patient in WCT remains hemodynamically stable — one may proceed with either: i) further diagnostic evaluation (in the hope of increasing one’s relative certainty of the etiology of the WCT rhythm); ii) initiation of medical therapy (which may include vagal maneuvers, adenosine and/or other antiarrhythmic agents); or iii) synchronized cardioversion (as soon as it becomes essential to terminate the WCT without further delay). Further Bedside Evaluation of the Regular WCT Rhythm: We address therapeutic aspects related to acute management of the stable WCT patient elsewhere (See Section 08.9 in this pdf from ACLS-2013-ePub). We limit comments below to those that are relevant for diagnostic assessment of the rhythm shown in Figure 1. Obtaining a 12-lead ECG during the tachycardia is an essential component of the diagnostic approach. Twelve leads are needed to verify QRS width (in case part of the QRS lies on the baseline in some leads but not in others) — to fully assess for atrial activity during the tachycardia — and for assessment of morphologic clues that may strongly suggest the etiology of the WCT rhythm. Obtaining additional tracings on the patient may be invaluable. This may be in the form of prior 12-lead ECGs obtained when the patient was in sinus rhythm (to see if preexisting BBB of similar morphology was present in the past) — or in the form of prior or current rhythm strips or post-conversion tracings that might be used for comparison as well as to uncover previous WCT episodes. Determination that the WCT rhythm is regular (as it is in Figure 1) significantly narrows the differential diagnosis (See ECG Blog #36 for eval & mgmt. of irregular WCT rhythms). Determination that the QRS complex in the 12 leads shown in Figure 1 is not overly wide (no more than 0.11-0.12 second) increases the chance that this regular WCT rhythm may be supraventricular (although the odds are still clearly much more than not that it is VT). Relatively young age of the patient — previously healthy status — and hemodynamic stability all contribute to increasing the chance of SVT (though again overall odds still clearly favor VT). QRS morphologic clues are consistent with a possible supraventricular etiology (See below). Presence of extreme/bizarre axis deviation during the WCT strongly favors VT. Although marked LAD (Left Axis Deviation) is present in Figure 1 — the axis and appearance is not outside the limit of what might be expected with LAHB (Left Anterior HemiBlock), in that there is still some initial r wave (albeit tiny) in leads II and aVF — and the QRS is isoelectric in lead I. Therefore — the degree of LAD seen in Figure 1 is not helpful in differential diagnosis of this rhythm. Presence of an entirely (or almost entirely) negative QRS in lead V6 favors VT. This is clearly not the case in Figure 1, in that a relatively tall R wave is seen in V6. Presence of a monophasic R wave in lead aVR is virtually diagnostic of VT (Ref-1) — since this implies an apical origin of the WCT, which means the arrhythmia must be coming from the ventricles. The QR pattern in lead aVR of Figure 1 is nondiagnostic. Presence of a delayed nadir >0.10 second (for any RS complex in any precordial lead as measured from onset of the R until deepest point of the S wave) is virtually diagnostic of VT (Ref-2). RS complexes are seen in leads V2-thru-V6 of Figure 1 — but none of these leads manifest a delayed nadir. Although this clearly does not prove SVT — it does make SVT more plausible. Finally — QRS morphology is consistent with a pattern of an established conduction defect. Aberrant conduction typically manifests some form of conduction defect, since it is based on prolongation of the refractory period in one or more conduction fascicle. Most commonly — aberrant conduction manifests RBBB (Right-Bundle-Branch-Block) morphology (because the right bundle branch tends to have the longest refractory period in most individuals) — but any pattern of conduction defect may be seen (including RBBB, LBBB or hemiblock patterns). QRS morphology in Figure 1 is consistent with a pattern of bifascicular block (RBBB/LAHB) — albeit uncertainty about the presence of a small initial r wave for the RBBB pattern seen in lead V1 is a bit atypical. BOTTOM LINE: We are left with uncertainty about the diagnosis of the monomorphic regular WCT seen in Figure 1 — which could be either VT vs PSVT with a bifascicular block (RBBB/LAHB) pattern of aberrant conduction. The important point to emphasize is that the clinician will not always know what a WCT rhythm is at the time the patient is being seen. In such cases — one has to proceed on a “best hunch” and “most likely to be safe & effective” approach. Clinically — the patient in this case is stable, so that therapeutic intervention may be tried. 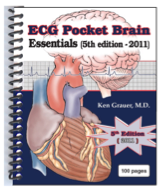 This might include application of a vagal maneuver and/or use of adenosine as a diagnostic/therapeutic trial (See Section 06 from ACLS-2013-ePub on Using Adenosine). Diagnostically — We suspect the regular WCT rhythm in Figure 1 is Fascicular VT. In this case, if vagal maneuvers/adenosine were not effective — one might cautiously attempt treatment with IV verapamil. By far the most common type is left posterior fascicular VT (~90-95% of cases) — in which the ECG shows a RBBB/LAHB pattern (consistent with that seen in Figure 1). The reason for the relatively narrow QRS and RBBB/LAHB morphology is the localized origin of the arrhythmia arising at a point in close proximity to the left posterior hemifascicle. Less commonly there may be left anterior fascicular VT (RBBB pattern with a rightward axis) — and rarely an upper septal fascicular VT (RBBB pattern with a narrow QRS and a normal axis). Clinical Occurrence — Fascicular VT is most commonly seen in young adults (predominantly men) between the age of 15-to-40 years old. Underlying structural heart disease is usually absent. The arrhythmia is often precipitated by exercise — and symptoms commonly include palpitations, dizziness, and presyncope/syncope. As opposed to other forms of VT — sudden death is rare. However, recurrence is common. Treatment Considerations – Sustained fascicular VT responds extremely well to treatment with IV verapamil (proposed role for slow inward calcium channel in genesis of the arrhythmia) — and this is the treatment of choice when the arrhythmia is recognized in the acute setting. Presumably it will also respond to IV diltiazem — though the effectiveness of oral calcium blockers for preventing recurrence is variable. Both vagal maneuvers and adenosine have been reported on occasion to convert the arrhythmia — but the response is inconsistent. Patients suspected of having fascicular VT should be referred — since recurrence of VT is common and radiofrequency catheter ablation is potentially curative. BOTTOM LINE: It should be emphasized that the AV nodal calcium channel blocking agents verapamil/diltiazem should never be given indiscriminately to patients with WCT in whom the diagnosis of VT is entertained as an important possibility. This is because the negative inotropic and vasodilating effects of these agents is likely to aggravate the situation if the rhythm turns out to be an ischemic or structural form of VT (which may predispose to deterioration of the rhythm to ventricular fibrillation). Two exceptions to the rule that that verapamil/diltiazem do not work for VT are outflow track VTs (See ECG Blog #35) and fascicular VT, as is likely in this case. It should be emphasized the majority (~90%) of VT rhythms are structural and/or ischemic — with the biggest clue in this case that one of the less common VT forms (that may respond to adenosine or verapamil) is present, is the relatively young age of the patient and negative past medical history suggesting lack of underlying heart disease. That said — IF there is any doubt about etiology — verapamil/diltiazem should not be given for WCT. Immediate synchronized cardioversion will almost always successfully convert a WCT rhythm of uncertain etiology in the acute setting — after which referral for definitive diagnosis and treatment can be made. Although the regular monomorphic WCT rhythm shown in Figure 1 manifests features consistent with SVT having aberrant conduction — this diagnosis can not be made on the basis of this single 12-lead tracing. Instead — VT should be assumed until proven otherwise. A main purpose of this blog post has been to describe the special form of fascicular VT and its most common ECG appearance (RBBB/LAHB pattern with minimal QRS widening). Given the overall clinical characteristics in this case — this is the likely diagnosis for the arrhythmia seen in Figure 1. In view of this — adenosine, perhaps cautiously followed by IV verapamil might be administered. Synchronized cardioversion is warranted at the first sign of decompensation. Following acute treatment — the patient should be referred. Sasaki K: A New Simple Algorithm for Diagnosing Wide QRS Complex Tachycardia- Comparison with Brugada, Vereckei and aVR Algorithms. Circulation 120:S671, 2009. Brugada P, Brugada J, Smeets ML, et al: A New Approach to the Differential Diagnosis of a Regular Tachycardia with a Wide QRS Complex. Circulation 83:1649-1659, 1991. Johnson Francis, Venugopal K, Khadar SA, et al: Idiopathic Fascicular VT. Ind Pacing and Electrophys 4:98-103, 2004. Ramprakash B, Jaishankar S, Rao HB, Narasimhan C: Ind Pacing and Electrophys 8:193-201, 2008. Srivathsan K, Lester SJ, Appleton CP, et al: VT in the Absence of Structural Heart Disease. Ind Pacing and Electrophys 5:106-121, 2005. 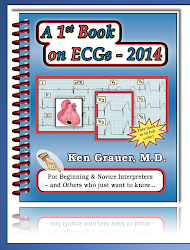 — Related ECG Blogs include #15 - #23 - #24 - #33 - #35 - #36 - #85. I discovered the 12-lead ECG shown in Figure 1 in “the files”. It was obtained from a patient who was hemodynamically stable despite the rapid rate. Unfortunately – I have no follow-up. Three diagnoses should come to mind on review of this tracing. The first two diagnoses should be thought of within seconds; the 3rd on some reflection. What 2 diagnoses should immediately come to mind? What is the 3rd diagnosis that should become apparent on reflection of QRS morphology in the various leads? Imagine a scenario of a young adult presenting with this 12-lead ECG and having palpitations, but being otherwise stable. How might you proceed clinically? Figure 1 – 12-lead ECG from a young adult who is stable despite the rapid rate. What 3 diagnoses should be considered? – NOTE – Enlarge by clicking on Figures – Right-Click to open in a separate window. Although VT (Ventricular Tachycardia) may at times be slightly irregular – We exclude VT from our differential diagnosis of Figure 1 because of the marked persistent irregularity seen on this tracing (with some R-R intervals being almost twice the duration of others). The rate of the AFib seen in Figure 1 is much faster than usual – attaining 250-to-300/minute in various parts of the tracing (in which the R-R interval appears to be no more than 1 large box in duration). This is clearly too fast for conduction to be proceeding down the normal AV nodal pathway. Therefore – there must be an AP (Accessory Pathway) that allows AFib impulses to bypass the AV node. The finding of AFib with QRS widening and an exceedingly rapid rate (>220/minute in parts of the tracing) is virtually diagnostic of WPW (Wolff-Parksinson-White) syndrome, which is the 2nd diagnosis to be made from Figure 1. The importance of distinguishing the common form of rapid AFib (with rates in the 120-180/minute range) from excessively rapid AFib with WPW – lies with recommendations for treatment. The usual AV nodal blocking drugs recommended for controlling the ventricular response of rapid AFib are contraindicated when AFib occurs in association with WPW. Thus – verapamil, diltiazem, digoxin (and possibly β-blockers) may all potentially accelerate forward (antidromic) conduction down the AP, thereby further increasing the already excessively rapid rate, thereby predisposing to deterioration to ventricular fibrillation. Recommended treatment of very rapid AFib with WPW includes procainamide, amiodarone, and ibutilide (See references below for additional discussion of treatment options). Immediate cardioversion is indicated if hemodynamic decompensation occurs at any time during the treatment process. Steurer, Brugada et al have provided us with 3 clues to help rule out AP conduction with WPW (See References below). These clues are: i) A negative QRS in V4-to-V6 (implies an apical origin of the tachycardia – and since all accessory pathways enter the base of the ventricles, AP conduction is excluded); ii) A QR complex in any of the 5 leads, V2-to-V6; and iii) the presence of more QRS complexes than P waves (since in any form of preexcited tachycardia the atria are involved in every beat). In Figure 1 – a QR is seen in lead V3; and a QS is seen in lead V6 – yet we know that Figure 1 has to represent AP conduction during AFib in a patient with WPW (since there is no other logical explanation for the excessively rapid rate). The reason for inconsistency with the Steurer/Brugada criteria has to be erroneous lead placement. IMPRESSION: Despite my lack of follow-up on this case – this 12-lead ECG is highly instructive on a number of important issues including: i) Presumed diagnosis of WPW from the finding of excessively rapid AFib with QRS widening (with associated clinical implications for treatment); ii) Awareness of Steurer/Brugada criteria for ruling out AP conduction in WCT rhythms; and iii) Need for vigilance in assessing QRS morphology for picking up less commonly recognized forms of lead misplacement (the ECG technician in this case was doubtlessly more scared than the patient by the excessively rapid rate – ergo, my explanation for this bizarre manifestation of leads that simply do not make anatomic sense). BONUS: For Those Who Do Not Believe All They Read – There is a reason why QRS morphology shown in Figure 1 made NO sense – namely, that the tracing was inexplicably rotated by 180 degrees. Figure 2 now shows correct lead placement after rotation of the tracing by 180 degrees. Note a much more plausible QRS morphology with now easy-to-decipher delta waves. Figure 2 – Correct orientation for the 12-lead ECG in this case (after rotating Figure 1 by 180 degrees). The characteristic picture of very rapid AFib with WPW (and obvious delta waves) is now apparent. (Figure reproduced from Section 12.0 of ACLS-2013-ePub). BOTTOM LINE: The original tracing in Figure 1 represents one more way in which leads may be mislabeled. While recognition of very rapid AFib with WPW was possible when leads were mislabeled (as discussed above) – the ECG picture makes much more sense with correct orientation of all 12 leads as shown in Figure 2. MORAL of the Story – Not all tracings "in the files" are correctly labeled. Special Credit – to Jason Roediger, CCT, CRAT (from Richmond, VA) for not being fooled for a second by the ECG in Figure 1. 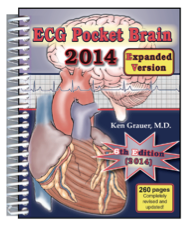 - Steurer G, Gursoy S, Brugada P, et al: The Differential Diagnosis on the ECG between VT and Preexcited Tachycardia. Clin Cardiol 17:306-308, 1994. - Marriott HJ: Emergency Electrocardiography (Trinity Press, Naples, FL, 1997 – pg 71). 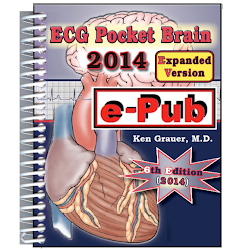 - See ECG Blog #18 and Blog #36 – and Section 12.0 (from ACLS-2013-ePub) on Management of Very Rapid AFib with WPW. - See ECG Blog #76 – for Review of How to Localize the AP (Accessory Pathway) from the surface ECG. 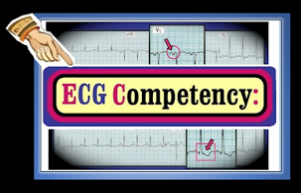 One of the most challenging tasks faced by emergency care providers is assessment and management of the patient with a stable WCT (Wide-Complex Tachycardia). When the QRS complex is wide – the rhythm is regular – and no P waves are seen – then VT (Ventricular Tachycardia) is the presumed diagnosis (Figure 1). Figure 1 – Regular WCT without definite atrial activity. VT should be presumed until proven otherwise. 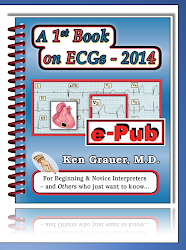 (All Figures in this Blog are reproduced from ACLS-2013-ePub). – NOTE – Enlarge by clicking on Figures – Right-Click to open in a separate window. In patients with underlying heart disease – VT is far more common than SVT (SupraVentricular Tachycardia) with either preexisting bundle branch block or aberrant conduction. For this reason, and because VT is potentially life-threatening – VT should always be presumed as the cause of a regular WCT until proven otherwise (See ECG Blog #23 for review of the approach to a regular WCT). NOTE: Some patients tolerate VT surprisingly well. Such patients may remain awake and alert for hours (or longer) despite being in persistent VT. Therefore – finding that your patient is alert with normal (or even increased) blood pressure in no way rules out the possibility that the rhythm is sustained VT.
b) Atrial fibrillation with bundle branch block. c) Atrial fibrillation with WPW. Figure 2 – Irregular WCT without atrial activity. – NOTE – Enlarge by clicking on Figures – Right-Click to open in a separate window. Figure 3 – An initial sinus beat or two – then an irregular WCT without atrial activity. Figure 4 – Irregular WCT without atrial activity. Figure 5 – Three initial sinus beats – then an irregular WCT without atrial activity. The tracing concludes with 2 sinus beats. GENERAL NOTE: Although definitive diagnosis of each of these 4 rhythms is difficult given the lack of prior tracings and absence of a 12-lead ECG obtained during tachycardia – one should still be able to establish a high-probability diagnosis for each rhythm strip. Being able to do so will often be important clinically – when there may not be sufficient time to obtain more history – compare with prior tracings – and get a 12-lead during tachycardia. Optimal treatment choices vary tremendously depending on what the irregular WCT is likely to be. ANSWER to Figure 2: Although subtle - the rhythm in Figure 2 is in fact irregularly irregular. The QRS is wide. An occasional undulation in the baseline is seen – but there are no definite P waves. We therefore strongly suspect atrial fibrillation (AFib) as the diagnosis – here with a rapid ventricular response. Although VT is not always a perfectly regular rhythm – it usually does not vary from one beat to the next as seen here. This is the finding that strongly suggests AFib as the diagnosis. That said – this example highlights the point that when AFib is rapid – variability in the R-R interval between one beat and the next may be minimal (and at times require use of calipers for confirmation). We say that the ventricular response of AFib in this example is “rapid” – because R-R intervals in Figure 2 are between 2-to-3 large boxes in duration (closer to the former). Thus, heart rate is in the range of 120-130/minute. QRS morphology in this right-sided lead V1 is consistent with LBBB (Left Bundle Branch Block). This was confirmed by the 12-lead tracing shown below, obtained from this patient at the time of the lead V1 rhythm strip (Fig. 2-ANS). Figure 2 – Irregular WCT without atrial activity. The type of bundle branch block is diagnosed by assessment of QRS morphology in the 3 KEY leads = Leads I,V1,V6 (See ECG Blog #3 - Blog #11 - and Blog #13). The monophasic upright QRS in left-sided leads I,V6 of Fig. 2-ANS – in association with the predominantly negative QRS in right-sided lead V1 is consistent with the diagnosis of typical LBBB. Confirmation that the irregular WCT in Figure 2 is in fact AFib with QRS widening from preexisting bundle branch block was forthcoming from comparison with a prior 12-lead ECG on this patient that showed similar irregularity with identical QRS morphology due to this patient’s chronic LBBB. Figure 2-ANS: – 12-lead ECG from the patient’s whose lead V1 rhythm strip was shown in Figure 2. The rhythm is rapid AFib. QRS widening is due to LBBB. Clinical Note: As opposed to RBBB (Right Bundle Branch Block) – patients with chronic LBBB almost invariably have significant underlying heart disease. Thus, a very common clinical scenario predisposing to the rhythm seen in Figure 2 is heart failure (resulting from loss of the atrial kick) due to new-onset AFib with a rapid ventricular response in a patient with underlying LBBB. Treatment of new-onset rapid AFib entails (whenever possible) correction of precipitating causes (such as heart failure) – and – slowing the ventricular response with AV nodal blocking drugs (verapamil-diltiazem-β-blockers-digoxin). ANSWER to Figure 3: The 1st and 3rd beats in Figure 3 appear to be sinus conducted. We suspect the 2nd complex is a fusion beat manifesting a QRS morphology intermediate between the two sinus beats and the initial part of the irregular WCT that follows. A useful classification of WCT rhythms separates them into those that are monomorphic (with similar QRS morphology during the tachycardia) vs those that are polymorphic (in which QRS morphology varies). Beginning with the 4th beat in Figure 3 – a very rapid irregular WCT without atrial activity is seen. QRS morphology varies almost from beat-to-beat. This is polymorphic VT.
Technically: Identification of polymorphic VT in the absence of QT prolongation is simply termed, “polymorphic VT”. As opposed to the multifactorial etiology of Torsades (drug-induced, electrolyte depletion, CNS disturbance or other underlying disorder that may predispose to QT lengthening) – polymorphic VT without QT lengthening most often has an ischemic etiology. Clinically: Torsades de Pointes (= polymorphic VT with long QT) – responds extremely well to IV Magnesium. Although IV magnesium is also indicated as initial treatment of polymorphic VT with a normal QT – it is clearly less likely to respond than when the QT interval is prolonged. Instead – antiarrhythmic drugs such as amiodarone or β–blockers may be needed for treatment. Definitive diagnosis of the irregular WCT seen in Figure 3 is forthcoming from an expanded look at this rhythm (Figure 3-ANS). Figure 3-ANS: – Expansion of the rhythm seen in Figure 3. This is Torsades de Pointes. The easiest way to look at the lead II rhythm strip shown in Fig. 3-ANS – is to step back a bit from the tracing. Doing so allows full appreciation of the characteristic alternating polarity of QRS complexes around the baseline during the irregular WCT. Note in the magnified view of the first few beats (Fig. 3-ANS-2) that the QT interval is in fact prolonged (ie, more than half the R-R interval) – confirming that the example of polymorphic VT in Figure 3 is indeed Torsades (See Basic Concepts #2 beginning with Figure-9 for brief review on assessing the QT interval). Figure 3-ANS-2: Magnification of the first few beats of Fig-3-ANS. The baseline QT interval is prolonged; it comprises more than half the R-R interval for each of the first 2 sinus beats. NOTE: Electricity may be needed. That is – IF the patient in polymorphic VT is (or at any time becomes) hemodynamically unstable – immediate shock is indicated. Because of the continuously variable nature of the QRS complex during the tachycardia – synchronized cardioversion will usually not be possible. As a result – unsynchronized shock (ie, defibrillation) is recommended if the patient is unstable. Polymorphic VT often recurs – especially if an uncorrected predisposing cause is present. Repeated shock may be needed while efforts are made to determine and correct any underlying causes. Recognition of a prolonged QT on baseline ECG of such patients suggests a likely contribution from drug- or electrolyte-induced QT prolongation. Hopefully – IV Magnesium will reverse the disorder and prevent subsequent episodes. Efforts addressed at treating ischemia may be helpful in treating polymorphic VT when the QT is normal. ANSWER to Figure 4: The QRS complex is monophasic, albeit with some variation in the height of the QRS. The rhythm is irregularly irregular with marked variability in the R-R interval from one beat to the next. No atrial activity is seen. Although the QRS is clearly widened – the gross irregularity of the rhythm makes VT unlikely. 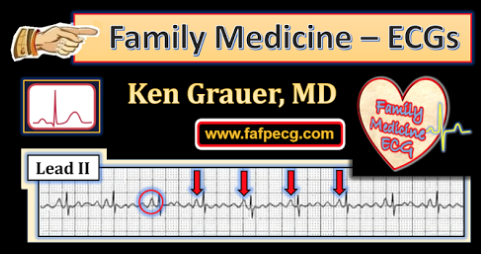 This leaves atrial fibrillation (AFib) as the probable diagnosis (See ECG Blog #18). The KEY point in interpreting this rhythm is appreciation of the exceedingly rapid ventricular response – which is far faster than that usually seen with atrial fibrillation. Under normal conditions with AFib – the refractory period of the AV node does not allow more than 150-to-200 impulses/minute to be conducted to the ventricles. At certain points in Figure 4 – the R-R interval is just over one large box in duration (which corresponds to a heart rate of ~250/minute) This is simply too fast for atrial impulses to be transmitted over the normal (AV nodal) conduction pathway. Conclusion: Atrial impulses must be bypassing the AV node. The finding of AFib at an exceedingly rapid rate (over ~220/minute) should immediately suggest the likelihood of accessory (AP) pathway conduction in a patient with WPW (Wolff-Parksinson-White) syndrome (See ECG Blog #18 for review of tachyarrhythmias with WPW). The example of AFib seen in Figure 4 can easily be distinguished from the much more common variety of rapid AFib that conducts over the normal AV nodal pathway by the rate. Suspect AFib with WPW whenever you encounter an excessively rapid and irregular WCT (>220/minute in parts of the tracing) without evidence of atrial activity. Clinically: The importance of distinguishing the common form of rapid AFib seen in Figure 2 from the excessively rapid form due to WPW (Figure 4) – lies with recommendations for treatment. The usual AV nodal blocking drugs recommended for controlling the ventricular response of rapid AFib are contraindicated when AFib occurs in association with WPW. Thus – verapamil, diltiazem, digoxin (and possibly β–blockers) may all potentially accelerate forward conduction down the AP, thereby further increasing the rate of this already exceedingly rapid rhythm and predisposing to deterioration to ventricular fibrillation. Recommended treatment of very rapid AFib that occurs in association with WPW includes amiodarone, procainamide, and ibutilide. Immediate cardioversion is indicated if hemodynamic decompensation occurs at any time during the treatment process. ANSWER to Figure 5: The initial 3 beats are sinus in this V1 rhythm strip. Then follows a rapid irregular WCT. This represents a run of monomorphic VT, albeit with more irregularity in the rhythm than is usually seen in VT.
Reasons in support of a ventricular etiology for the run of WCT seen in Figure 5 include abrupt onset of QRS widening with a QRS complex that is completely different in morphology than seen for the sinus conducted beats. Presence of a post-ectopic pause following the run (less commonly seen following SVT). Lack of a premature P wave preceding the run of WCT. High statistical likelihood that a WCT such as is seen in Figure 5 is VT rather than SVT with preexisting bundle branch block or aberrant conduction. Figure 5 – Three initial sinus beats – then an irregular WCT without atrial activity – followed by 2 sinus beats at the end of the tracing. PEARL: We added this last example (Figure 5) as a contrast to the regular WCT in Figure 1 to emphasize the point that VT is not always completely regular. 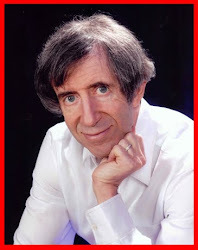 Most of the time – any irregularity seen with VT will be minimal. On occasion – there may either be a “warm-up” or “cool-down” phenomenon – in which the initial few beats of the VT run will either gradually speed up or slow down until a fairly regular R-R interval is established. A “cool-down” period is seen in Figure 5 (manifest by slowing of the VT rate after the first few beats). The irregular WCT in Figure 5 is not AFib with WPW. As opposed to Figure 4 – Figure 5 begins and ends with sinus-conducted beats. In between is a monomorphic WCT of very different morphology without atrial activity. This is VT. The irregular WCT in Figure 5 is not Torsades because it is not polymorphic. Instead we see a run of monomorphic WCT consistent with conventional VT.
Clinically: The importance of identifying the irregular WCT seen in Figure 5 as VT lies with recommendations for treatment. Favored antiararhythmic options for monomorphic VT include amiodarone – procainamide – sotalol. This is very different than the recommended treatment for Torsades or AFib with QRS widening from aberrant conduction or WPW.